Well, Ben Settle just sent me an account of the ways I was able to help him in his inevitable rise to copywriting mastery. He wrote this because one of his students questioned why he put me on his short list of “Mount Rushmore” teachers along with people like Gary Bencivenga and Gary Halbert. The only thing Ben left out, due to his modesty, is that his books on copywriting are never more than a few steps from my desk. 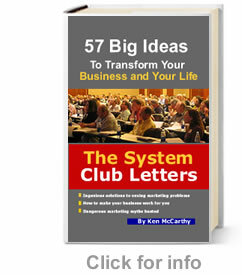 I’ve gone through Ken’s copywriting course 15+ times. It took an entire YEAR before he would run the ad I wrote for his copywriting course because I was filling it with the typical copywriter nonsense full of tactics, lame goo-roo type drama, and bloat. He kept telling me to get it better. As far as the *mechanical* act of copywriting goes he taught me more about it than anyone else. It was humbling, to say the least, but the most valuable experience I have probably ever had in this bid’niz. Plus, every time I have talked to or interviewed him, I walk away with several gems I can implement right away. And it’s all dull unpolished object info that works not the bright shiny object bull shyt being pushed by 99% of copywriting and marketing types these days. When I interviewed him on the old podcast, it was one of the most well received interviews Producer Jonathan and I did. He’s also a gifted teacher. A lot of people can do copywriting and marketing but can’t necessarily teach it. Ken has studied neuroscience (amongst other things) and knows how to teach and write and communicate in a way the brain likes to receive and process information. But those are a few reasons. Now you can see why I say that Ben Settle is quite possibly the most intelligent man in America today. All kidding aside, Ben is a very serious student and practitioner of the art of copywriting. He’s the exact kind of person I created my Advanced Info Marketing and Copywriting course for. It’s comprehensive and leaves no stone unturned. If you’re a beginner, it’s a great place to start and you may never need another resource. If you’re already a pro, this is the training that will lead you to the level of mastery that legends are made of. 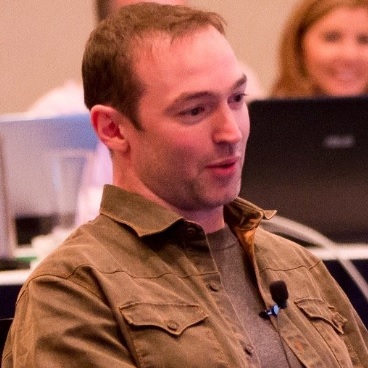 Dan Ferrari reported to me not long ago that thanks to a single idea in the course, he was able to beat the control at a famous nine figure a year financial publisher by 700%. If you know copywriting, you know that nobody does that. Nobody except my students that is. P.S. This is the course that Ben is talking about Advanced Copywriting Secrets. It ain’t cheap and for that I make no apologies. Don’t wait for a discount. I’ve never lowered the price and with case studies like these, I should really increase it significantly. There really is nothing like this available at any price.